The latest update to iOS, iOS 12 came out on September and everyone all over the world is eagerly waiting for it. But it is not always easy to install an iOS update, you need to prepare and learn from your previous mistakes. Like when the iOS 11 was released many users were stuck in the Recovery Mode. So, what if this time you get your iOS 12.1.1/12 stuck on the Recovery Mode as well and you have no idea what to do next. The simple solution is to get out of it and restart the device, a few of the methods to achieve that is mentioned below. No enough space to install iOS 12. Your have replaced the hardware from non-Apple repair store. If you accidently get your iPhone stuck in recovery mode iOS 12 , follow the methods below. As discussed, there are a few reasons why you can get stuck. No need to worry, there are a number of apps and solutions available to get you out of the recovery mode, a few are described below. 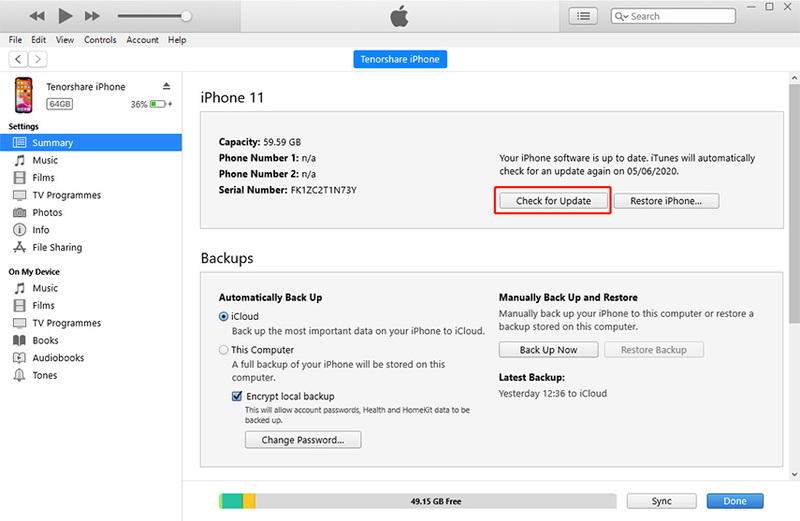 One of the brute force ways to restore your iPhone is to use Hard Reset. It is not very uncommon for the users to apply this method as it is very common. The steps to Hard Reset your device varies, some of them are mentioned below. 2. Then, quickly press and release Volume Down switch. 3. Now, press and hold the Side or Power Button. Your iPhone will restart. 4. You need to wait a few seconds and the phone will turn on and show the lock screen. 5. The Hard Reset is complete. 1. 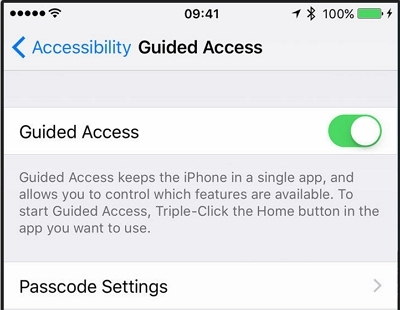 First, you need to press and hold the Lock button, situated on the right side of your phone. 2. You also have to press and hold the Volume Down button on the left side of the phone, simultaneously. 3. Keep holding those two buttons until the phone turns off and you can see the Apple logo. 4. Then wait a few seconds and the phones will restart. 1. First, press and hold the Home button. 2. Now, while holding the Home button, press and hold the Sleep button. 3. Continue that for a few seconds, until you can see the Apple logo on the screen. And you are done! Whenever your iOS 12 stuck in DFU mode, you may think that the only way to get it out of it is to use iTunes. Unfortunately, if you use iTunes to get out of Recovery Mode, all of your data will be lost. So, a highly recommended option is to use Tenorshare ReiBoot. It is a professional app that provides a very easy way both in and out of recovery mode. And on the top of that you can save all of your data. So, if you have decided to use Tenorshare ReiBoot then follow the steps below. 2. Run the app on your computer. 3. Now, connect your iDevice to your computer with an USB cable. 4. First of all, Tenorshare ReiBoot will detect the connected device. 5. Click on "Exit Recovery Mode" option and your device will be restarted. 6. After that you have to wait a few moments for the process to complete then the iOS will be back to its natural state. The process mentioned above is called 1-click exit from the Recovery Mode. But if you find that this process is not working then you need to look for other options. Like a simple restart can get rid of a few of those iOS stuck issues, but there are times when you need to reach deeper to fix a simple problem like iPhone stuck in Recovery Mode iOS 12 . 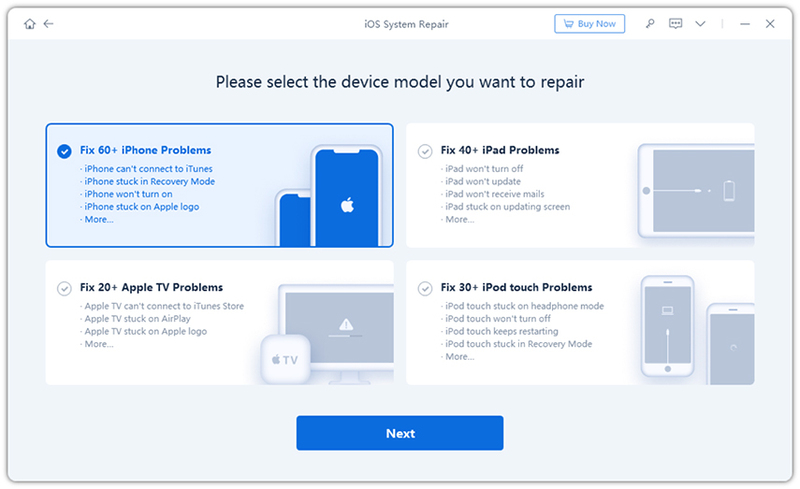 In this case, you can also use Tenorshare ReiBoot to fix various problems like Recovery Mode, DFU Mode, Apple Logo, Black Screen, iPhone stuck on connect to iTunes screen etc. Also with this app, you can fix all these issues without worrying about any data loss. 1. Select the "Repair Operating System" option on the interface. 2. Now, click on start and follow the wizard to detect your device. 3. After the app detects your device click on the "Download" button and start downloading the firmware. 4. After the firmware is downloaded, click on the "Start Repair" button to begin the System Recovery. 5. Your device will automatically reboot and get out of Recovery mode after repair. 1. Connect the device with your computer, through an USB cable and launch iTunes. 2.	iTunes will automatically detect your device in Recovery Mode. 3. Click on Update if you don't want to lose any data. Or you can choose Restore. 4. Wait for iTunes to restore your device. When the process is done! Your iOS should be back to its previous standard. In the end, you have to realize that not everything will go as you planned when it comes to iOS devices. It could get stuck in the recovery mode or in a restart loop or some other faults, but you have to know your way out. There are many ways to do that, you can go for the hard reset or use iTunes to restore the device. But ultimately the safest option is to use Tenorshare ReiBoot - the best iOS system recovery software , to recover your device from any problems. Go for it!